Not for the first time in his international career, the weight of expectation diluted the brilliance that flows from Lionel Messi as he set out on his latest mission to claim the one prize that has eluded him so far in his glorious career. With Iceland mounting a heroic backs-to-the-wall survival exercise as they made their debut in a World Cup finals in Moscow last Saturday, Messi was handed his chance to end their resistance. A few hours after his great rival Cristiano Ronaldo announced his arrival at Russia 2018 with a stunning hat-trick against Spain, Messi knew he dare not miss as he was presented with a penalty that would have almost certainly secure his side a victory. It seemed that there could only be one outcome as Messi squared up to Iceland keeper Hannes Halldórsson, as the ultimate giant of the game stepped up to slay the upset kings of international football. 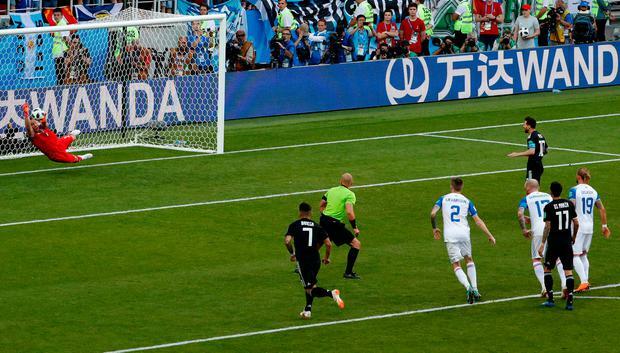 Yet this was to be the moment that would secure Halldórsson’s place in Icelandic sporting folklore with a save that ultimately earned his side a point. 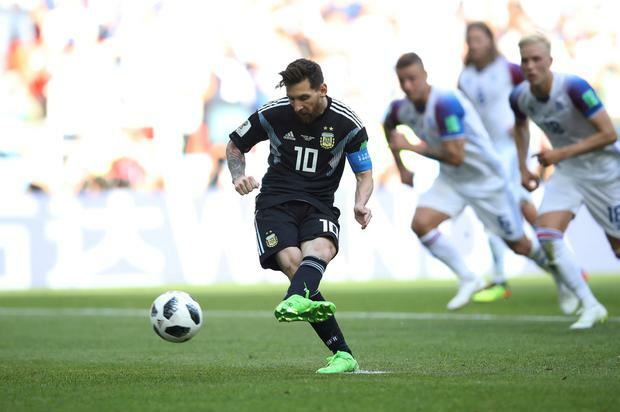 "It was an uncomfortable match for us because Iceland were playing very defensively and doing everything to stop us and especially Leo,” reflected Argentina coach Jorge Sampaoli. Sampaoli simply had to defend his star man after his stuttering display against Iceland, but this was another example of a legend of the game wilting on a stage he so desperately wants to dominate. While Messi has proved himself time and again for a decade and more at club level, international glory has eluded the maestro who has had so many agonising brushes with glory in his pursuit of success with Argentina. Back-to-back defeats in Copa America finals in 2015 and 2016 compounded a desperate defeat in the 2014 World Cup final against Germany in Rio, with Messi majestic performances in those tournaments not enough to carry his side to victory. Yet the superstar who announced his retirement from international football in June 2016, only to reverse that decision a few months later, has admitted the pressures of leading his national team are far more demanding than his weekly duties with Barcelona. "We have had some difficult moments with the national team," states Messi, who has admitted he may call time on his Argentina career once and for all at the end of this World Cup. "The Argentine press expect so much. Yes, we have lost three finals in recent years, but we reached three finals and that was a good achievement. "It’s true that winning them is important, but getting there is not easy. This pressure is not good for me or the team." 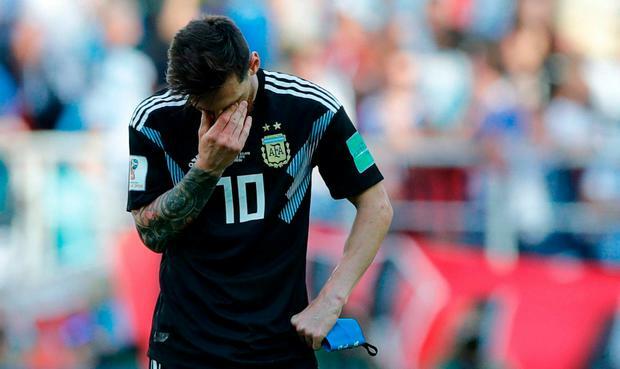 "We talked with Leo about his current affairs and not to happen what happened in the previous World Cup, which arrived extremely exhausted," reflected the Argentina boss. "We discussed looking for the breaks to generate the best physical and mental form for the World Cup, it will be very important and it will be much more genuine for him to handle it than another. "A revolver called the World Cup is put to his head and if he doesn’t win it, it fires and kills him. It’s madness that he cannot enjoy his talent. "There is a ‘Messi dependency’ generated by Messi himself because of how incredible he is on the pitch, but we cannot rest just on that. On the contrary, we must play together -- and if he is in the form that he usually is, all the better." Messi’s status as one of the greatest players to have played the game has long since been assured, yet the critics argue that he needs international glory to cement his position. Brazilian great Pele won the World Cup, as did Argentine icon Diego Maradona, while Ronaldo broke his duck on the international stage as Portugal landed the Euro 2016 crown two years ago. After all, Argentina’s presence in this World Cup can be credited primarily to the great Messi, with a chaotic qualifying campaign that produced some starling statistics to highlight the influence of their iconic No.10. Argentina collected just seven points from eight games when Messi was missing for qualifying games, with that total transformed to 21 points in the ten games when he did start. In the end, needed his sublime hat-trick in the final qualifier against Ecuador last October to seal their place in the finals and when they needed him most he delivered. "Luckily the nationality of the best player in the world is Argentinian," added former Chile and Sevilla boss Sampaoli. "I told this squad ‘Messi did not owe the World Cup to Argentina, but football owed the World Cup to Messi’. "Football, the World Cup, would not be the same without Messi. We had to play with that in mind. As a consequence of that pressure we are stronger now, this qualification will make us stronger to face the future. "Now we are here, we are in Russia, we have to try and do everything we can to win the World Cup for Argentina, for ourselves, for Messi." Messi may have been frozen out by Iceland yesterday, but he will be offered a second chance to get his World Cup up and running when Argentina play Croatia on Thursday. He dare not fail again.